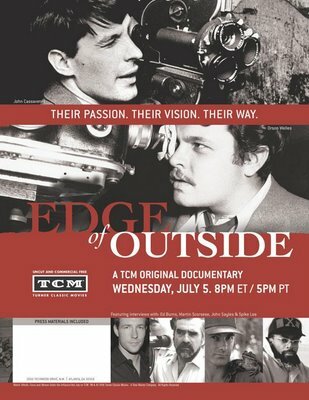 Just watched a preview copy of the Turner Class Movies' original documentary EDGE OF OUTSIDE. The documentary deals with filmmakers who have historicly worked outside of the big-studio Hollywood scene. In the documentary the interview Martin Scorsese, Peter Falk, Spike Lee, Henry Jaglom, Arthur Penn, Gena Rowlands, John Sayles, and others. The documentary is to help kick off a special series of films who fall under this catagory. It is very interesting to hear these directors talk about doing original work that might not be completly in line with popular culture and the large studios. I think this documentary is a timely reminder that independent and non-main-stream film has long been a part of the American film culture. And it is important because, while it might not always gain the award nominations or have sweeping box office numbers it sometimes works as a rudder which can have the power to direct the course of films to come. It also really makes some strong points to what film art in America has been in the past. Sometimes we need reminders that filmmakers like Frank Capra and Charlie Chaplin made films that were poorly received at the time but later greatly appreciated down the road. This presentation is especially made for Turner Classic Movies fans. 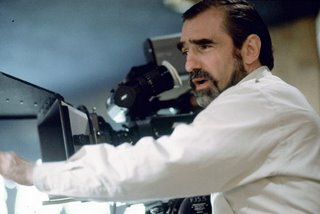 It is filled with great interviews which offer a unique opportunity to hear people like Scorsese talk about film art adn the work of other great film makers. 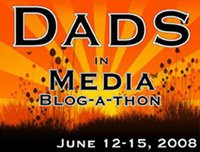 It airs on Wednesday July 5th 8PM Estern, and then other random times on Wednesday's through out the month of July. Films that are a part of the July Series include: Faces, A Woman Under the Influence, A Child Is Waiting, A Woman In Paris, Queen Kelly, Meet John Doe, Othello, On Dangerous Ground, Killer's Kiss, The Naked Kiss, Pat Garrett and Billy the Kid, Bonnie and Clyde, The Conversation, Nashville, and Raging Bull. Pictured above is Martin Scorcese on the Goodfellas set. I'm thinking about getting a shirt that says "Cassavetes Was Murdered"... Do you think that's inappropriate? People laughed at the promo for this at the A Scanner Darkly screening I attended last night. Are they that jaded? Does this documentary talk about how most of these guys ended up selling out to major studios to whore their art for awards? Do they talk about Coppola's Jack or Warren Beatty's Town and Country?